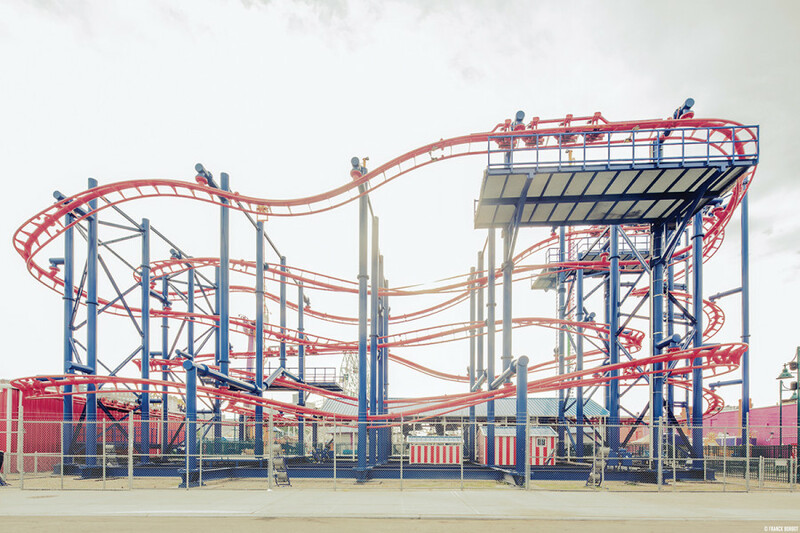 Franck Bohbot brings magic to the everyday. Theaters, swimming pools, museums—the French photographer captures empty spaces and turns them into characters in their own right, rich in detail and mystery. His photographs are vivid yet haunting, spaces that seem to hum with life and yet remain chillingly empty, as if the human crowds had been sucked suddenly out of the space, leaving the ghosts of nostalgia behind. 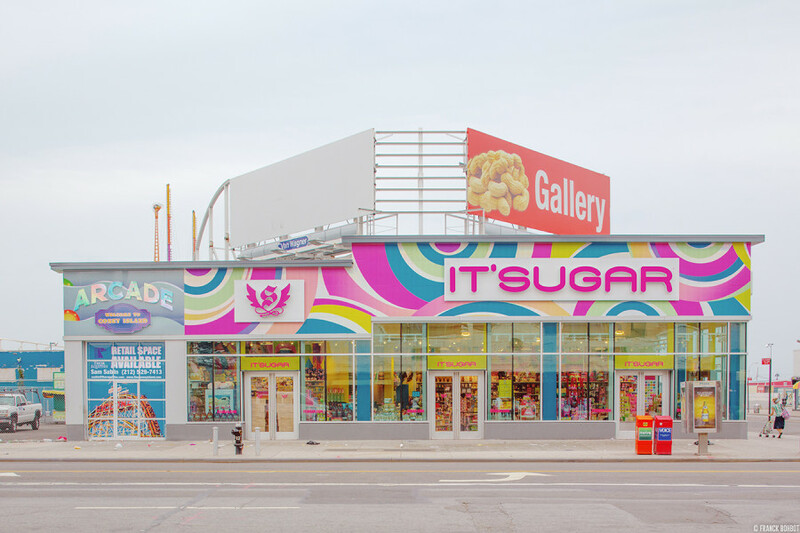 His latest series visits his delicate touch to Coney Island. 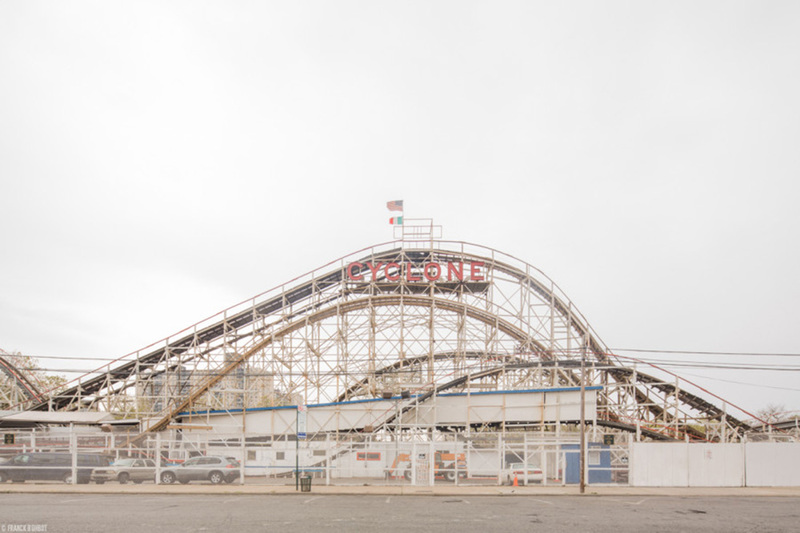 In “Last Stop Coney Island,” Bohbot brings the same warm light and attention to detail to the candy stores and abandoned roller coasters of the Brooklyn landmark as he does to the opera houses of Versailles or the galleries of the Louvre. Far from the stench of hot dog wrappers and sweaty crowds, this Coney Island is a delicate wonderland, hazy as a daydream and post-apocalyptic in its hushed emptiness. It’s enough to make us hop on the F train and right it on out to the sea, hoping against hope that instead of a slushy dirty mess we would be greeted by spun sugar towers of glistening crimson and matchstick hills breathing quietly under a cloudy sky. For more, go to Bohbot’s website, and prepare to be enchanted.